I do call nationwide through research in German archives and libraries. The results are then available in several formats. Besides all ancestral lines I am researching on request individuals data. 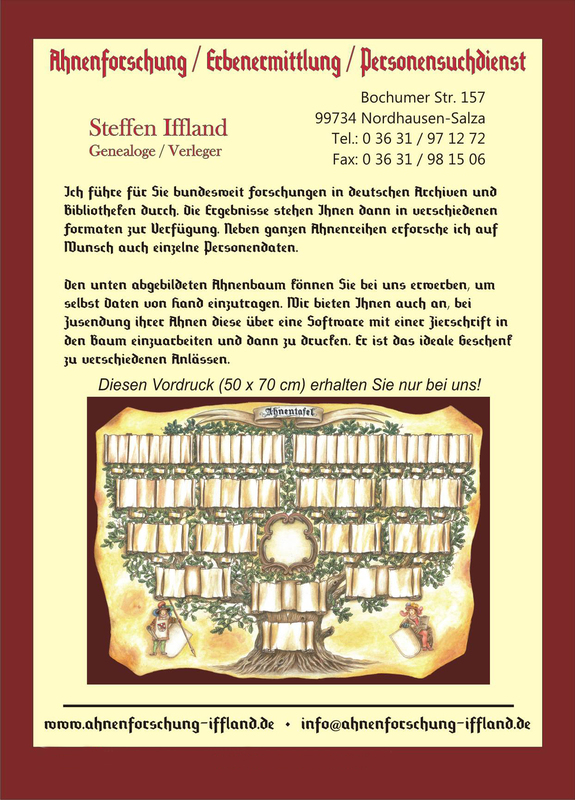 This entry was posted in Genealogy and tagged with Genealogy, Publisher Iffland, Advertisement of Margit. Bookmark the permalink.